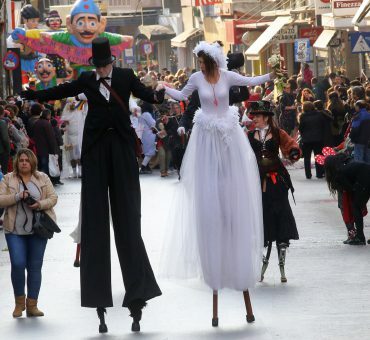 The city of Heraklion is blessed with many fine culinary delights, but to experience one of Crete’s most delicious sweet pastries, there’s no better place than the famous Plateia Eleftheriou Venizelou, otherwise known as Lions Square. For in this historic plateia two of the city’s finest exponents of the traditional sweet pastry known as ‘bougatsa’ ply their trade. For Phyllo Sophies, the journey began in Smyrna in 1922. A young refugee, Apostolos Salkintzis, brought with him to Crete a traditional sweet from asia minor. 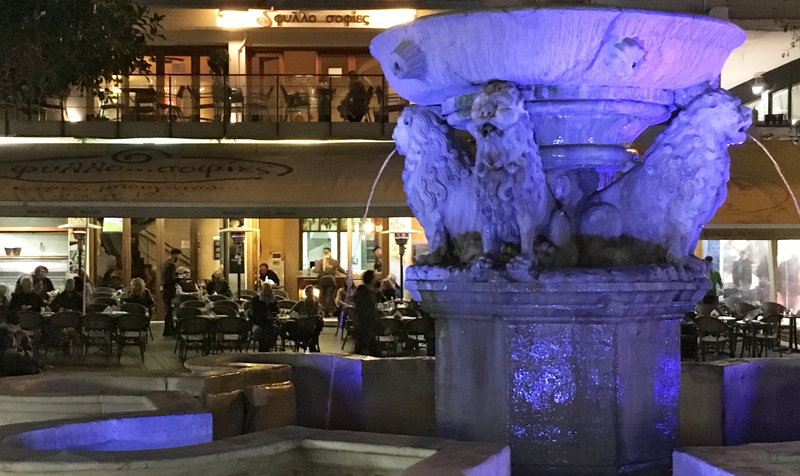 He set up a small shop to make his beloved delicacy, Today Apostolos’s grandchildren and great grandchildren continue his journey, at the Phyllo Sophies cafe, looking out to the Morosini fountain. 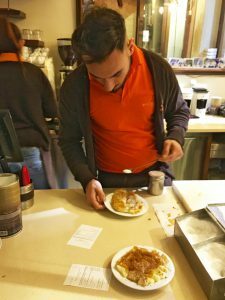 Kirkor, next to Phyllo Sophies, has an equally rich tradition, and has also been serving bougatsa since the 1920s. 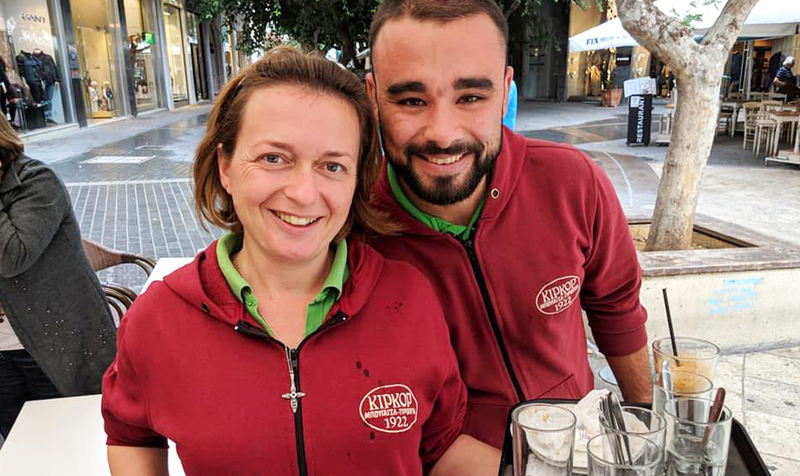 Always popular with the locals, many overseas visitors returning to Heraklion, have made Kirkor their bougatsa bar of choice. 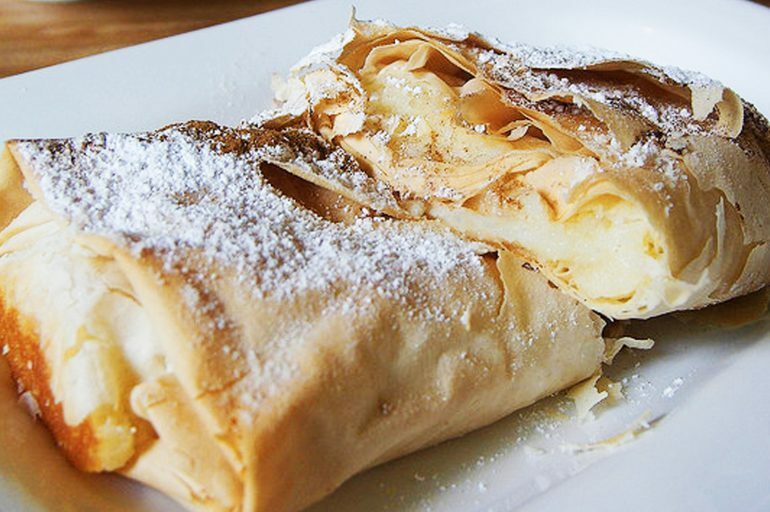 Usually made in Crete of custard or mizithra cheese, the sweet or salty fillings of bougatsa are wrapped in crispy golden-brown filo pastry, with the sweet version given a dusting of icing sugar and cinnamon.Often served at breakfast, many believe the dessert originated in Greece, in the city of Serres in Macedonia, where Greek migrants from Constantinople made their homes early in the 20th century.The name is derived from Byzantine Greek – πογάτσα (pogátsa), and is related to the Latin panis focacius – the root of the modern Italian word focaccia.